Welcoming the audience on Thursday evening was LA’s Phoebe Ryan, with her teal-colored hair flowing across the CMJ stage. Her voice rang loudly in every corner of Webster Hall while fans and new listeners alike cheered. Raised in New Jersey but currently based in Los Angeles, Ryan has her eye on a dream — and her new EP Mine is bringing her closer and closer to achieving that dream. 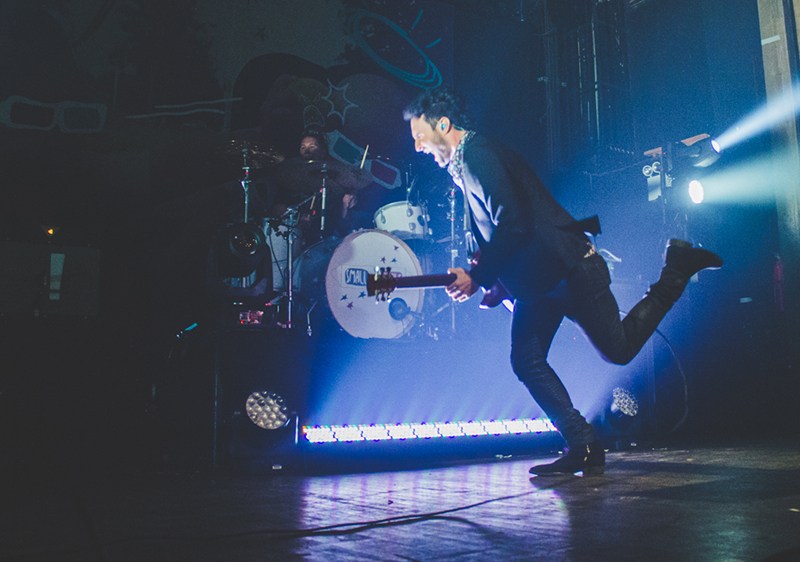 The next notable performance at Webster Hall was the increasingly popular Smallpools. With their hit song “Dreaming”, Smallpools have being touring consistently over the summer to promote their debut album Lovetap — and the tour is not even close to the end. Vocalist Sean Scanlon welcomed the audience by standing up on a chair while guitarist Mike Kamerian began to dance, sending positive vibes into the already wired-up crowd. Smallpools is one of those bands that’s on the edge of all-ages screaming popularity — so we strongly recommend seeing them before the newness wears off completely. Meanwhile at the Mercury Lounge, Yak were tearing it up. This London-based trio are everything you might imagine when thinking about grunge rock with a dash of punk. Caught in the moment, frontman Oliver Burslem jumped off the stage, getting shockingly and intimately close to his fans. As the show continued, the theatrics carried on —until finally, at the end of the show, Burslem knocked down the mic stands and walked off stage. It was an intense, one-of-a-kind performance that no CMJ attendee will easily forget. Following Yak was another UK indie rock band, The Maccabees. This quintet has been around since 2004 and has released four studio albums in the past decade. The band is currently touring to promote their latest album, Marks To Prove It, which was released this summer. With a decade of loyal fans in the room, space was limited and the air was heavy. The audience actively sang along, throwing out requests from the crowd as the Maccabees played both older hits and new tracks. “No Kind Words” from 2009’s Wall of Arms was a particular hit with this crowd.